Lake Tahoe is a famous destination for recreation between California and Nevada, which encompasses a few cities, villages, and beaches. 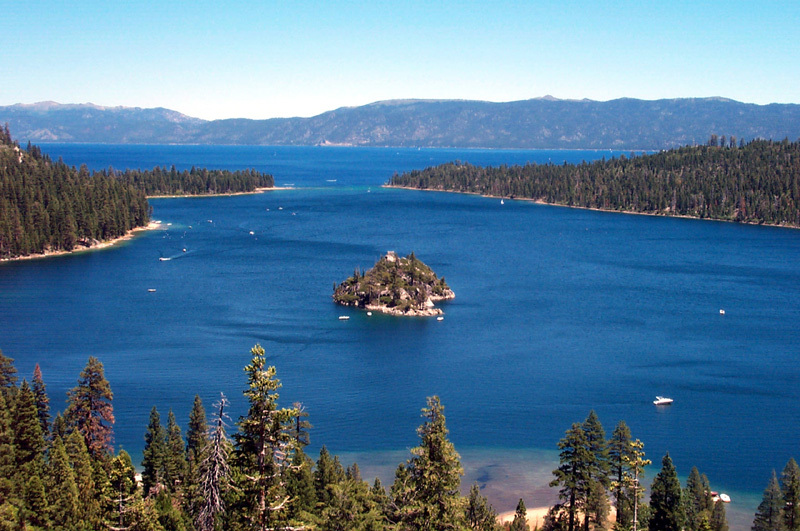 One can come in summer or winter to enjoy a wide variety of things to do in Lake Tahoe. In summer, you can spend your vacation by boating, hiking, as well as golfing; while winter (December-April) opens the doors of excellent skiing, ice skating, as well as snowmobiling opportunities. However, few things to do in Lake Tahoe are suitable throughout the year, which include shopping, sight seeing, and eating obviously. 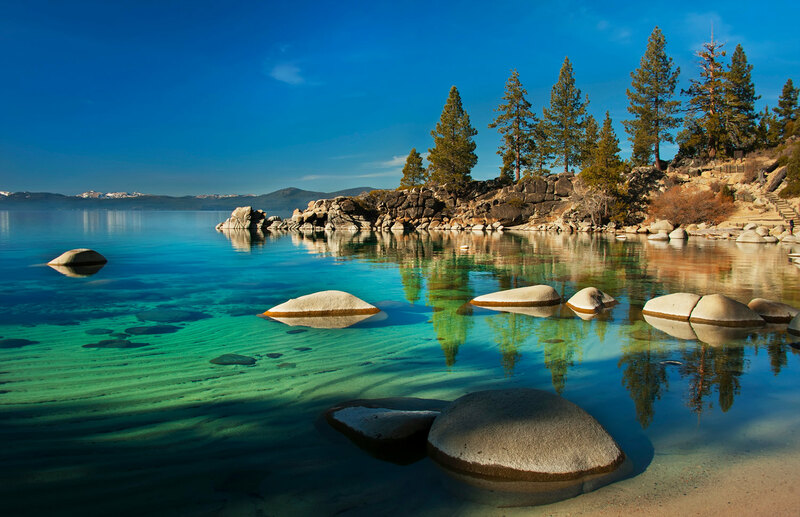 Lake Tahoe is actually a wonderful, crystal blue lake situated in amidst the peaks. I reached here by catching a flight up to the Reno/Tahoe International Airport from where Lake Tahoe is a matter of an hour’s drive on Interstate 80. As compared to the winters, the summer time is the busier one despite the fact that the zone is acclaimed world wide for its ski slopes. However, I agree that there are many things to do in Lake Tahoe besides skiing and other snow-based activities, which are apt for summers. In summer, tourists enjoy water sports here. Just rent any kind of watercraft at the shore of the lake or experience the self rafting trip, but not on the lake, rather on the Truckee River that is situated in the Tahoe city just below the lake. The latter one is very exciting for the families if the kids can paddle well. Next, hiking as well as mountain biking at Lake Tahoe is just something not worth missing in warm weather. I would recommend following the Tahoe Rim Trail that is 165 miles lone. However, you don’t have to hike or bike in just a day. In fact, there are a few easy day hikes over here. Other option is to hike the Emerald bay hiking trail where you can enjoy the mountain valley views. Boating is just one of the favorite hobbies here. For the tourists, it is among the ideal ways to soak into the natural charm of the area. It is necessary to take this tour as the lake is very different from what you see while walking or driving. Further, if you do not cruise, you will never make out that the water’s color alters to cobalt as you go far from the shore. A boat cruise will also take you to the Emerald Bay – the site where the Vikingsholm citadel caps a fjord-like vista and can also spot the bowl-shaped mountain terrain flanking the water body. Contact Tahoe Star or Zephyr Cove Marina for this trip. Lastly, fly high on a hot air balloon and enjoy the wonderful vistas of the lake. However, this is possible only in the morning. And yes, do not forget to sunbathe at the beaches like Sand Harbor, Chamber’s Landing, and Meek’s Bay in the Tahoe city. Budget stay options include Best Tahoe West Inn from $34, 3 Peaks Resort & Beach Club from $47, and The Blue Lake Inn from $59.